India’s first “air show” was held as a private venture in December 1993 at the “old airport”, south of Bangalore. It was organised by an inexperienced entity and it turned out to be a “flop air show”. There was chaos and confusion in the arena; the organisers were helpless. Lessons, however, were quickly learnt. The Defence ministry stepped in to shift the venue of the show in 1996 to Yelahanka, the cradle and nursery of the Indian Air Force transport fliers, navigators and engineers. A second re-scheduling further changed the Bangalore air show, re-named Aero India, from the even year of 1996 and 1998 to 2001. 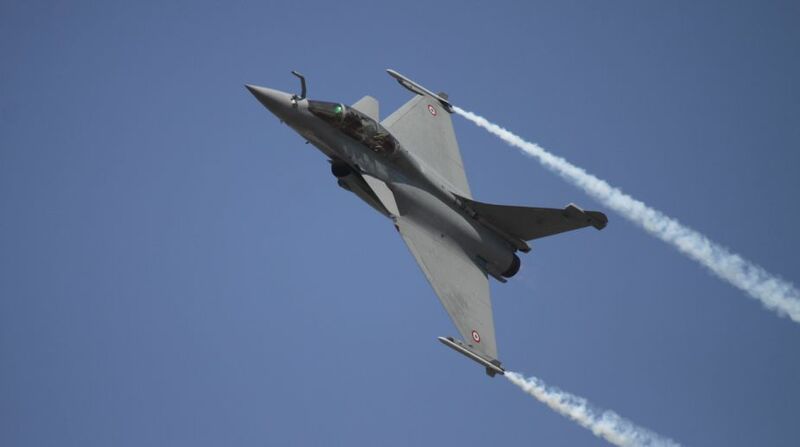 Modern India’s air show had come of age, as successive “Aero India Bangalore” improved its organising ability and increased participation of delegates, companies, aircraft and VIPs. Bangalore followed the set world order in which an international air show is both indivisible (with the simultaneous participation of civil and combat aircraft) and biennial. Thus, the Paris air show, beginning 1909, is held at Le Bourget (odd year); the British hold the show at Farnborough since 1920 (even year); Singapore (even year); Dubai show since 1989 (odd year). The basics of all these shows are economics and convenience. Air show “divided” between combat and civil aircraft can almost inevitably result in financial loss. The bottom-line economics of each and every participating country or company is bound to be damaged. Thus the aviation industry, by its very structure, nature and composition, is capital intensive, (high skilled) labour intensive and fuel intensive wherein the margin of profit could be razor-thin owing to the high cost of production, transportation, logistics, manpower, and demonstration of technology. Hence all major air shows are held under one roof and in a single venue. In India’s case, however, the democracy of diversity and divergence played a seminal role in bifurcating the Bangalore air show (Aero India) into two. From 2009 Bangalore became “military show only” (odd year) and the “civil aviation show” was held in Hyderabad’s Begumpet airport in 2008 (even year) thanks to the Ministry of Civil Aviation and Ministry of Defence which failed to see eye-to-eye with each other. Also, thanks to liberal and democratic India’s “perceived collision” of political convenience and coalition. In the process, however, the irreparable economic damage was inflicted by the ruling class to the (promising) nascent aviation sector. Coming to India every year (for civil and combat aircraft show) with men, machine, technology took its toll, as is revealed by the just concluded Hyderabad air show that was held from March 8 to 11. Theoretically, more than 100 companies participated. The show was inaugurated; delegates sauntered around the arena pretending to be busy and active. CEOs held meetings. Chalets remained opened for transactions, technology, trade over drinks. Some stalls in halls displayed their company’s aircraft and engine mock-ups. The media sent dispatches of the anti-climax show after having seen as to how the security officials had an unusually relaxed and refreshingly happy time owing to poor footfall and scarcity of flying machines. So much so that one thought of paraphrasing the words “air show” into “all air, and no show”. Indeed, one has never ever been so disheartened and disappointed before. It was poor and lacklustre. In fact, this writer’s expectation, after having been to Farnborough (UK), Le Bourget (France), Dubai and Singapore air show several times, was somewhat sky high. But then one forgot (for a few seconds) that the demography of India operates within the parameter of the democratic polity of diverse geography, wherein the value of political dissension and disagreement, more often than not, takes precedence over the economics of development. In a way, the non-violent, non-co-operation movement, as a fighting tool, against the rule of the British appears to have taken a tortuous and tangential course, leading to confrontation within the geography of independent India. No wonder what was advertised or promised did happen and take place more in violation thereof rather than fulfilment. Thus fifteen civil aircraft were to be showcased on the tarmac. In reality, only four business jets were parked. Further, despite being a well-advertised and “focussed” civil air show, every big and renowned manufacturer gave short shrift to Wings 2018. The world of civil aviation is today dominated by the US-based Boeing and Europe’s four-nation Airbus. None appeared to be interested despite a large consumer base of their product in India. All airlines of India are their users. There was no indication of a new potential aviation customer in March 2018. The best, or the worst, however, was the conspicuous absence of the host ~ the civil aviation minister. The reason was the dance of Indian democracy. Hours before the show, the Minister had resigned, thereby forfeiting his statutory right to play host to the invitees. That certainly was the high watermark of the flop show. In one stroke, the glitter, glitz, glamour and lustre of the show were polished off. “Rising India” too took a rude jolt. The world over, the media is taken care of, and given due respect, because a lot depends on their reporting, analysis and assessment. The coverage also determines the reputation and credibility of an international air show and its organisers. The Hyderabad organisers need to do better in future. The Constitution’s “Right to Equality” (Article 14) reigned supreme at the “lunch room” meant for the media. Anybody could go eat and leave… with or without a valid pass. It was a licence to bypass and surpass all barriers, in case of the existence of any barrier at all. Clearly, it was a show without business ~ fun, food, frolic for the amateurs and non-professionals. It was organised, unfortunately, by a reputed chamber of commerce known for its sterling qualities and performance to champion the cause of commercial, financial and industrial issues with the Government of India. Regretfully, the show far from enhancing its reputation and no-nonsense image, diminished it no end. Wings 2018 prompt two suggestions. First, it should be fully organised by the Government of India, like Aero India Bangalore. And secondly, it is time to merge the two shows into one. The entire idea of separate civil aviation and combat air shows in two cities is bound to damage India’s overall self-interest and the aviation development programme. There were, however, two silver linings amidst the overall failure. The first was the beauty of the city of Hyderabad and its culture. And the second was the warmth, hospitality and tehzeeb (immaculate behaviour) of the wonderful Hyderabadis. Hence the management and the organisers, instead of taking a chance, should change their stance and ensure that the next time if at all, it should be Boeing and Beechcraft first and biryani later and not the other way around.